Feel free to roam around in smooth style and long lasting comfort with the SKECHERS Relaxed Fit®: Metronome - Restless boot. 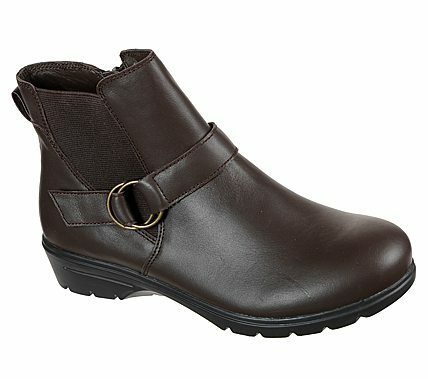 Smooth leather upper in a slip on ankle height dress casual comfort chelsea boot with stitching and overlay accents. Air Cooled Memory Foam insole.